Universiti Tunku Abdul Rahman (UTAR) students who had completed their soft skill training were presented with their certificates during the First UTAR Soft Skills Development Certificate presentation ceremony held on 6 July 2009 at the UTAR Petaling Jaya Campus. Deputy Minister of Higher Education, Dr. Hou Kok Chung presented the certificates to the students. Also present at the ceremony were Tun Dr. Ling Liong Sik, UTAR Council Chairman and Ir. Prof. Dato' Dr. Chuah Hean Teik, UTAR President. These students from all UTAR faculties were participants of various UTAR soft skills training programmes organised by the University's Department of Soft Skill Competency. The UTAR Soft Skills Development Certificate is a certification system that recognises the students' achievements and efforts in improving themselves in key areas via training, interaction sessions and activities conducted outside their classroom. The core components of these students' training were communication and language, integrity and ethics, teamwork, emotional intelligence, leadership and entrepreneurship. In addition, they also had the opportunity to enrol in sponsored programmes in related areas and life skills such as the information technology component with the Multimedia Development Corporation (MDeC), and the financial planning component with Agensi Kaunseling dan Pengurusan Kredit (AKPK). In his welcoming remarks, Prof. Chuah stated that the purpose of awarding the certificate to the students is to ensure that UTAR students continue to pursue self development and foster their integrity, self-discipline, creativity and entrepreneurial spirits. Dr. Hou, meanwhile, expressed his hope that the UTAR Soft Skills Development Certificate would one day become a brand name associated with quality and high standard of training for its bearers, as well as becoming a sought-after certificate by employers. ?Being pioneer recipients of this Certificate, you must promote and project yourself well in the employment world, for nothing is more fulfilling than to know that the UTAR Soft Skills Development Certificate had given you the edge to boundless opportunities and successes,? he told the recipients. 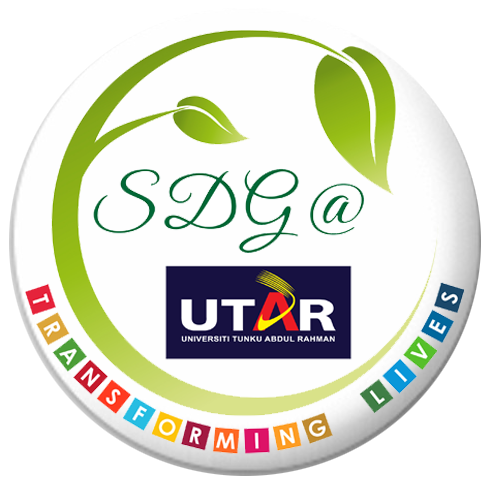 UTAR's Department of Soft Skills Competency organises training programmes and workshops for students on progressive basis. The Department has plans to expand its scope of training coverage in the future so as to offer a wider range of training programmes to further equip UTAR students with more skills to meet future challenges. Certificate recipients having their photos taken with Dr. Hou (sixth from left). Tun Dr. Ling and Prof. Chuah are on his left and right respectively.